Wayne County proudly hosts an APPLE TASTING TOUR every October. Wayne County Tourism works with local farms, farm markets, and wineries in putting on this great event. The tour is an annual event, and its popularity grows each year. You are invited to travel our scenic country roads anytime, but especially this fall when it will be ablaze in autumn glory. 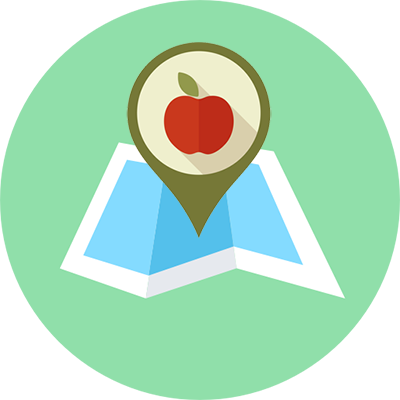 Use our Mobile Tour Locator to travel from market to market, to see farming in action and to taste the product that is the “apple of our eye”. This is your opportunity to explore the essence of the APPLE. Each stop is unique, as is the taste and texture of apples. 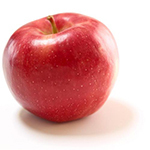 Discover the variety of flavors, colors, and sizes…apples are as individual as we are! YOU can be the expert! Apple taste testing is one way to learn the differences in apples including taste, texture and scent. Drive yourself from market to market through the month of October to taste the different varieties and take the “Apple Taste Test”. Enjoy apples, baked goods, cider, fresh produce, door prize drawings and more at each location! 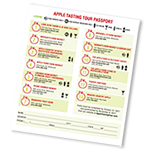 Basket Giveaway – Collect stamps at each stop and complete the Apple Tasting Tour Passport. Each stop is unique. Apple tastings, food samples, door prizes, special events and lots of fun! Collect 12 or 13 stamps to be eligible to win 1st Prize – $150 basket and a $50 gift certificate from our restaurant sponsor. Collect 10 or 11 stamps to be eligible to win 2nd Prize – $125 basket and a $25 gift certificate from our restaurant sponsor. Collect 8 or 9 stamps to be eligible to win 3rd Prize – $75 basket and a $25 gift certifcate from our restaurant sponsor. 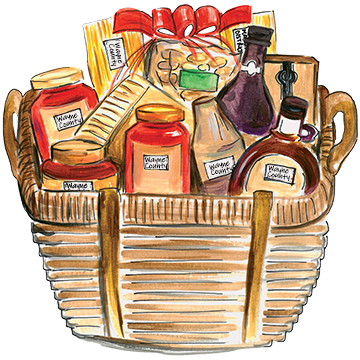 Collect 5 to 7 stamps to be eligible to win 4th Prize – $50 basket. BONUS GIVEAWAY… All passports turned in are eligible for (2) Lake Ontario Wine Trail Passports. Fine dining with a Key West flare. Extensive Martini bar with over 180 to choose from. Casual cozy atmosphere with a great Bay Street Family to serve you and some old Sodus Point charm. Have questions about this year's apple tasting tour? Contact us.